Although Tinos is one of the most important religious destinations in Greece, this elegant island remains unexplored and ready to be discovered for its diverse landscapes, serene beaches,historic monuments, rich cultural heritage and verdant nature. Certainly the miraculous church of Panagia of Tinou acts as a magnet for travelers, however Tinos is so much more than a pilgrimage center. 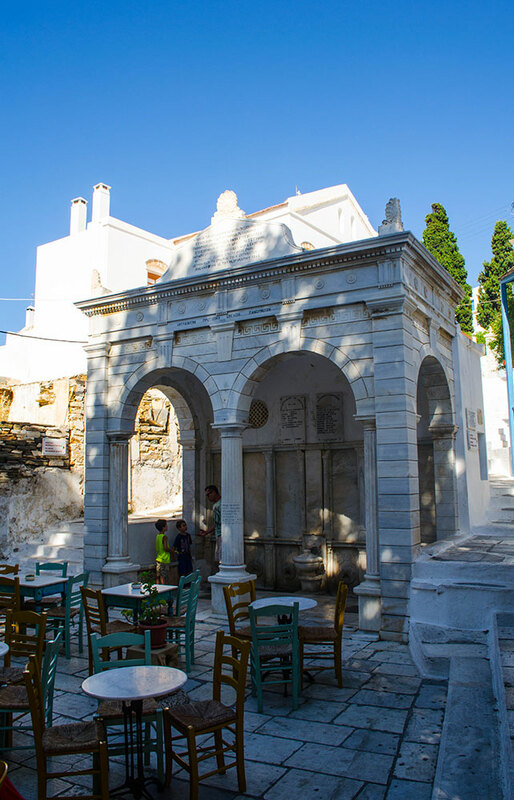 Tinos is a center of culture, an open air museumwhere sculpture and painting are used even as part of the architecture, and a premium culinary destination. The gems of the island are the authentic villages, the historic monuments and the rich culinary traditions. Tinos is also a place of spirit and enlightenment. Art, nature and tradition are combined in such a way that is impossible to leave you untouched. 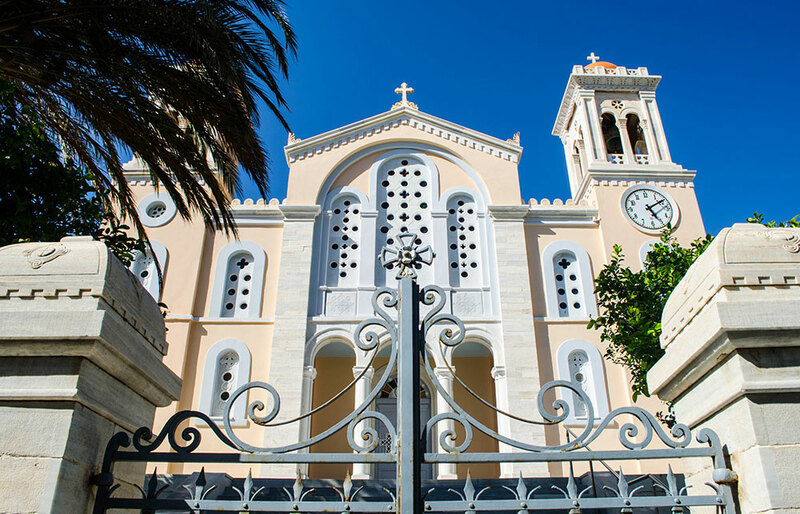 Church of Panagia Tinou: is the symbol of the island and one of the most famous churches in Greece. The church was built in 1823 on the spot where theicon of Virgin Mary was found. This icon was considered miraculous and put inside the church. Today Panagia of Tinou is known as the most miraculouschurch in Greece with thousands of believers reporting miracles, after praying in the church to Virgin Mary. 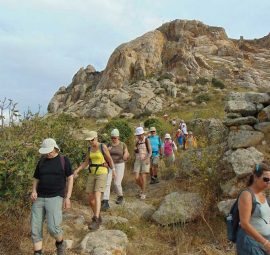 On August 15th thousands of faithful arrive at the island to pilgrimage to Panagia of Tinos. Most of them cover the distance from the port to the Church on their knees to keep a solemn promise to Virgin Mary. 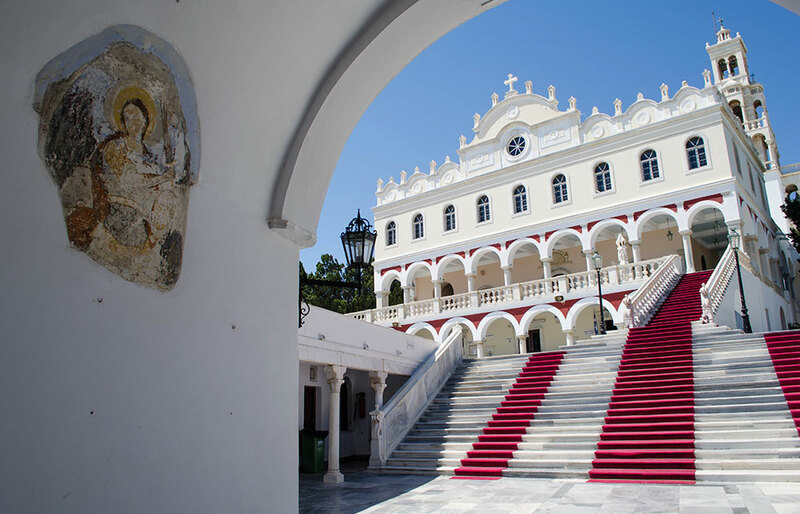 As the path is very rough, a red carpet has been placed from the port to the entrance of the church for this reason.The Church has been constructed out of the exquisite Tinos marble. Many local artists have contributed their talent and work to make this grandiose church. The atmosphere inside is solemn and peaceful and definitely worth a visit. 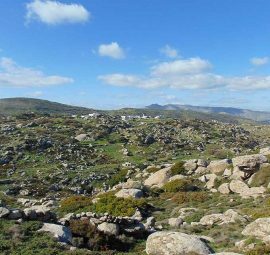 Volax boulders: is one of the most impressive sites of Tinos. 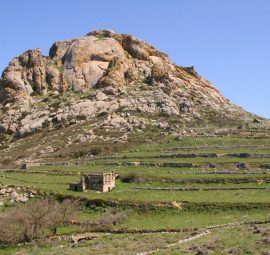 Volax village is situated on a site of huge granite rocks that extent over an area of twenty two kilometers. According to geologists, these natural monoliths were most probably created millions of years ago from changes in temperature and humidity. The rocks are of different shapes andprovide quite a unique sight. Archaeological Museum: is located in Chora. It hosts a rich collection of vases, amphorae, large clay pots, pottery and household items from excavations all over the island and pieces from the ancient temples of Poseidon and Amphitriti. Giannoulis Chalepas Museum: contains the work and some of the personal belongings of the worldfamous Tinian sculpture artist Giannoulis Chalepas (1851-1938). The exhibition is in Pyrgos in the same house where the artist spent his final years. 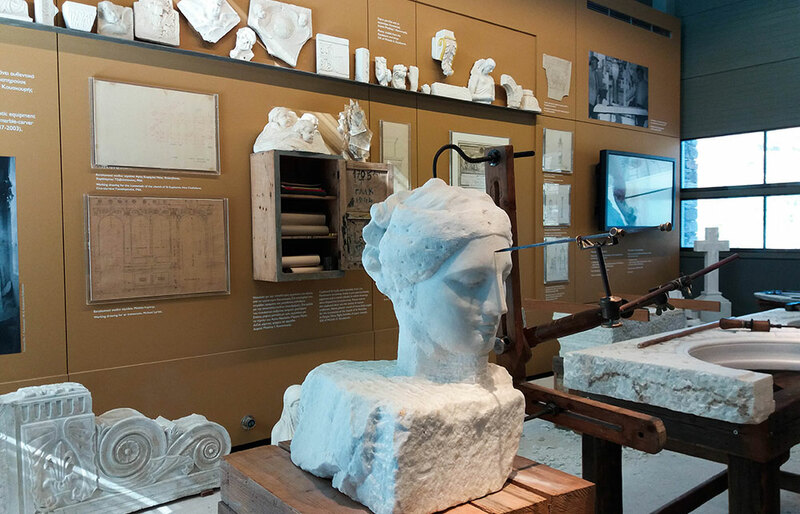 Museum of Marble Craft: presents technology of marble, as well as a detailed description of the necessary equipment and techniques used from ancient times till today. The museum is fully modern and one of its kind in Greece. It is located in Pyrgos. Tinian Artists Museum: includes sculpture and painting works of Tinian artists. The museum is housed in the Megalochari complex. Arnados Ecclesiastical Museum: is located in Arnados and contains valuable icons, old books and ecclesiastical objects and holy vestments. Art Gallery:includes many important works of Greek and foreign artists. The exhibition is housed in a large room in the Megalochari complex. Costas Tsoclis Musuem: is recently established to promote the contemporary art of the famous Greek artist Costas Tsoclis. The museum is located in Kampos. Temple of Poseidon and Amphitrite: is located on the way from Chora to Kionia. During the 5th century Tinos flourished as a center of worship of Poseidon. Poseidon, besides being the God of the Sea, was also worshiped as a healer. Faithful would come to the temple and ask for Poseidon to heal them or ensure a fair wind during their journey. In the 3rd century the temple was reconstructed and introduced the worship of Amphitrite, wife of Poseidon and deity of feminine fertility. Today, on site you can see remains of the foundations’ of the temples. Exomvourgo Archeological Site: is a landmark of Tinos, located at a height of 640m in the middle of the southern part of the island. The rock was first inhabited during the Copper period. Exomvourgo brought to light remnants of the Geometric and 5-6th century BC, including a temple devoted to Goddess Demetra, along with ruins of old fortifications build in the 13th century AC. On its slopes you will find the church of Iera KardiaIisou (Sacred Heart of Jesus). 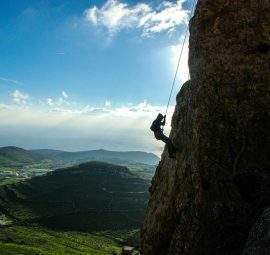 The rock is also ideal for climbing. Tinos town (Chora) is the capital and harbor of Tinos. The first impression one has when arriving at Tinos port is that it resembles more of an urban city than a picturesque Cycladic village. However, behind the dock lies a charming settlement with a traditional atmosphere and many 19th century elements. Walking though its alleys you will discover old mansions and churches, marble fountains and cobblestone paths that indicate past economic and social prosperity. Being the capital, Chora is filled with traditional restaurants, tavernas, pastry shops, cafes, bars and accommodations. The most important monument of Chora is Panagia of Tinou, which hosts the miraculous icon of Virgin Mary and is considered one of the most important pilgrimage centers in Greece. Panagia of Tinou is also and the protector of all Greece. 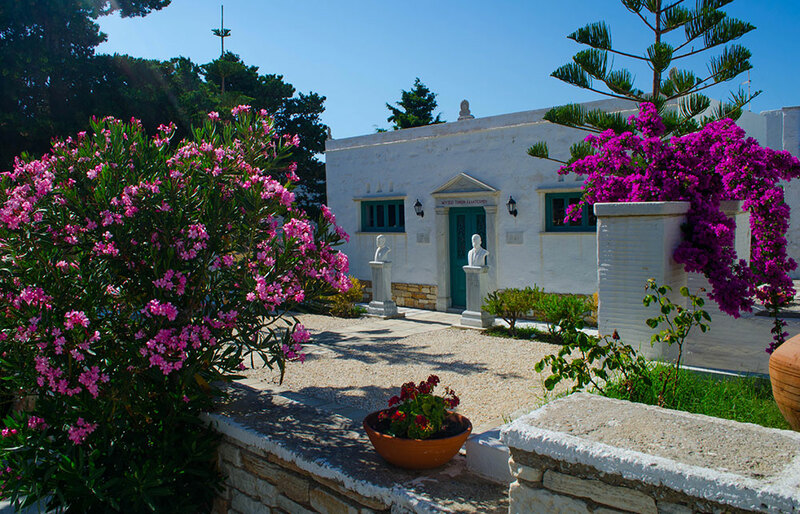 Other sites include the Textile School, the chapel of St. Nicholas Catholic church, the Tinian Artists Museum, the Art Gallery, the Cultural Foundation of Tinos and the Temple of Poseidon and Amphitrite. Pyrgos is the birthplace of many famous Tinian artists like Chalepas, Filippotis, Lytras and others. 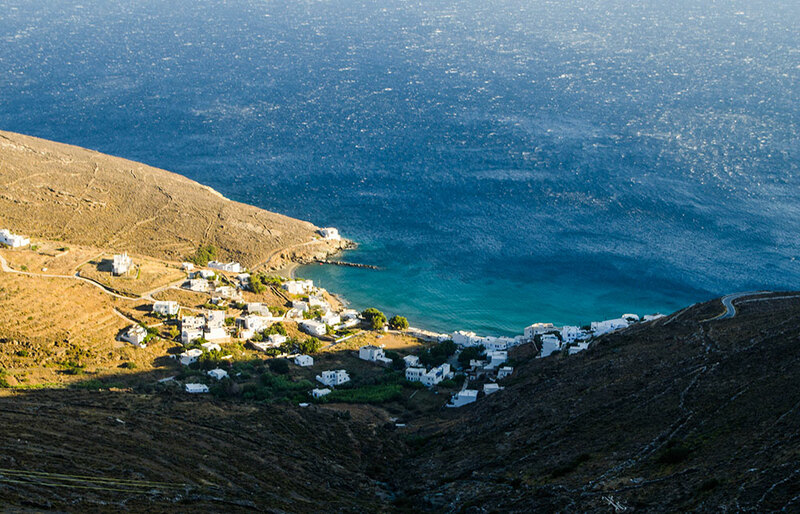 It is one of the largest and most beautiful villages in Tinos. 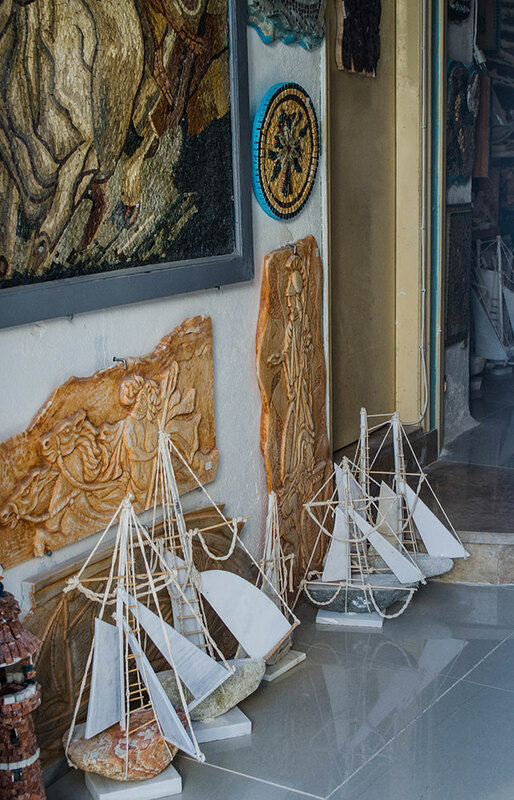 The first thing you will notice when visiting Pyrgos is the marble creations. Marble exists everywhere you look in the village, on sculptures, above the house doors, on the fountains, even on the tables of the small kafeneios in the main square. This lavish use of marble makes Pyrgos an outdoor architectural museum and a unique place to visit. 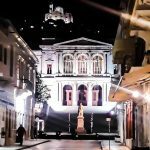 In Pyrgos you will find the museum of the world famous sculptor Giannoulis Chalepas, the Museum of Fine Arts and the modern Museum of Marble Art. Isternia is a traditional village built amphitheatrically in the slope of the mountain Meroviglia, overlooking the island of Syros and offering particularly picturesque views at sunset. It is a village of white houses and paved alleys, filled with many visible sculptures and works of art. The entire village serves as anopen airmuseum of fine marble sculpture. Actually, Isternia has a long tradition in sculpture and is the birthplace of many famous Greek sculptors like Vitalis, Latena and Sochou. Worth visiting sights include the Museum of Isternian Artists, the church of Agia Paraskevi, the ruined windmills on the north side of the village and the beautiful marble paved road that connects the village with the Isternia bay. Panormos is a seaside resort located on the northeastern side of the island. Its Cycladic architecture with white houses with blue doors and window frames attract each summer many visitors. In fact Panormos is considered one of the most popular destinations in Tinos. The village has a small port where fishing boats can moor. Around the dock you will find many tavernas and cafes. Panormos’ cosmopolitan beaches are also very popular amongst youngsters. 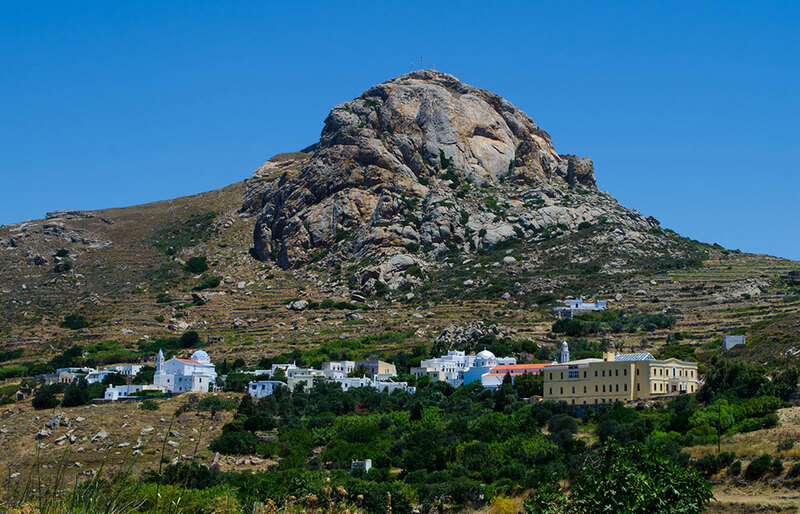 Volax is a one of the oldest villages in Tinos best known for thegiant rocks that are surround the village. According to geologists, these natural monoliths were most probably created millions of years ago from changes in temperature and humidity. The rocks are of different shapes and provide a unique sight. 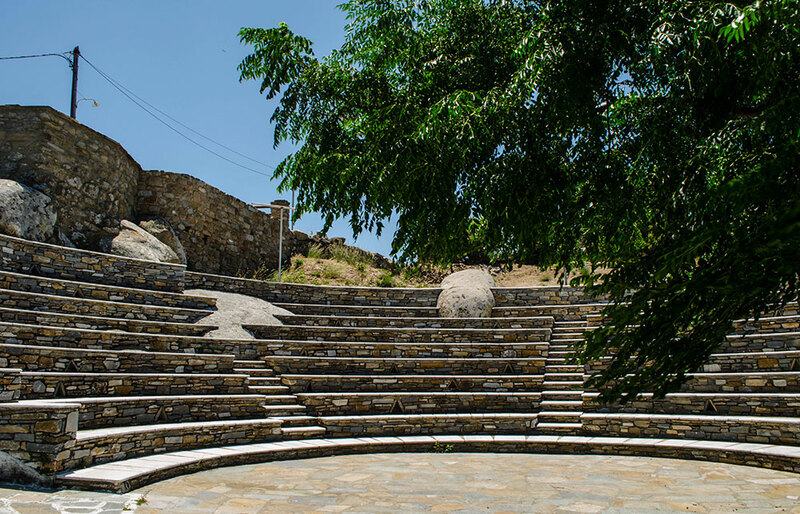 On the village you will few tavernas and shops and an open air theater where summer performances are given. There is also a folk museum with everyday objects from the 19th century. Do not forget to get a wicker basket souvenir from Volax. Basketry is still the main occupation among its population, and their work is of course for sale. 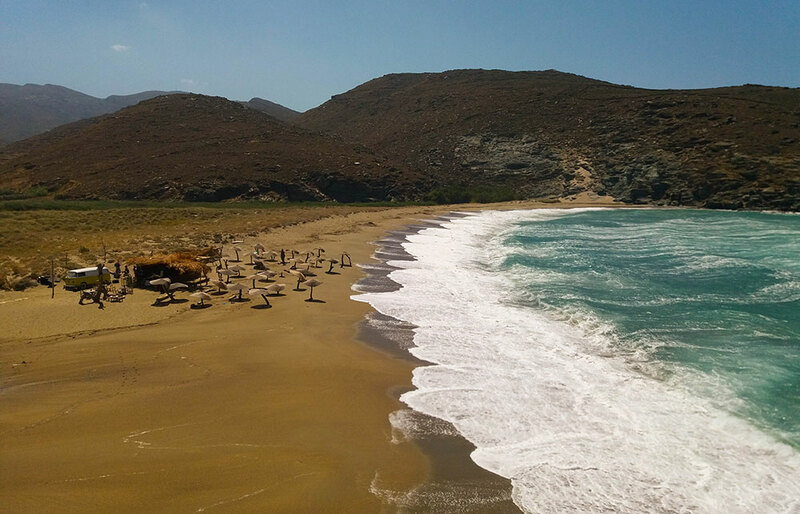 Kolimbithra: is one of the most well known beaches of Tinos. It consists of two separate beaches. The smaller one is fully organized with all sorts of amenities and quite cosmopolitan, while the bigger is semi organized with a more relaxing vibe. Both beaches have unique beauty, crystal clear waters and thick golden sand. Behind the big beach you will find a small sea lake with a rich biotope, including ducks and turtles. The beaches are exposed to the strong north winds and offer an ideal place for windsurf and kite surf. Agios Romanos: is a beautiful sheltered bay that looks at the sunset. This long sandy beach with green waters has a lot of natural shade from tamarisks trees and a nice chill beach bar. Agios Romanos is ideal for relaxation and isolation. Behind the beach there is also a traditional tavern. 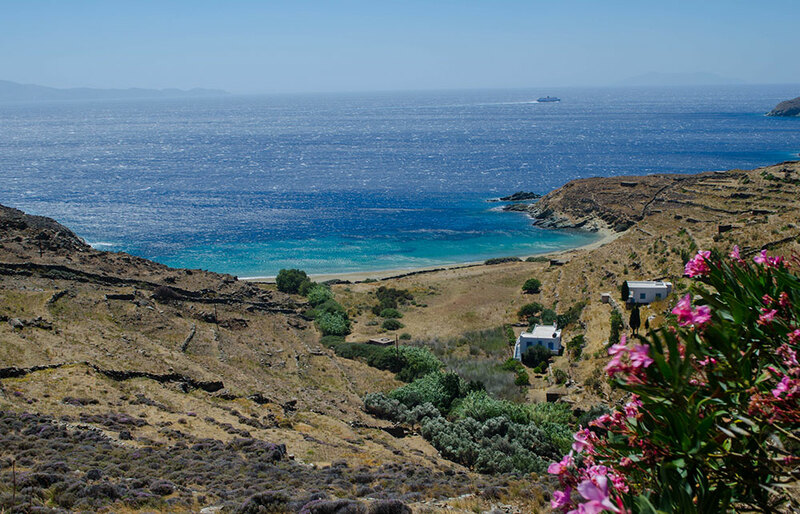 Kionia: is a popular sandy beach close to Tinos town. It is fully organized with all sorts of beach facilities includingsunbeds, umbrellas and water sports. Behind the beach are the ruins of the ancient temple of Poseidon, the God of Sea. Close to the beach are also many accommodations, taverns and bars. Agios Markos: is a picturesque small rocky bay with emerald waters. It was named after a small chapel that stands right on top of it. Agios Markos attracts a lot of visitors due to its sheltered transparent waters. Platia Ammos: is a long beach located 10km from Tinos town. This unspoiled sandy beach with crystal clear waters is very appealing to those seeking for serenity and isolation. Agios Fokos: is the largest beach on the island very close to the Town of Tinos. 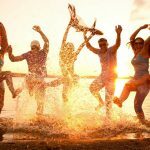 It is a long sandy beach with crystal clear waters and many beach facilities, including sun beds, umbrellas, beach bars, taverns, water sports and accommodations. At the end of the beach you will find the ancient rock of Vryokastros with a panoramic view to the island of Delos. In ancient times, Tinos was known as Ophioussa (ophis = snake in ancient Greek), due to great quantity of snakes on the island. According to the myth, Poseidon the God of the sea and great healer, exempted the island from snakes and reptiles and became the island’s protector. A glorious temple was dedicated to him in Kionia. Legend has it that Hercules chased and killed the sons of Aeolus, the God of winds, and buried them on top of the mountain “Gyros”, because they abandoned the Argonauts when the ship passed by Tinos. When Aeolos found out that his sons were buried at Tinos, he became furious and let the winds free on the island to blow with rage until today. This is the first thing visitors notice when they arrive at Tinos. According to another famous myth, the giant rocks that are surround the village of Volax, are the stones the Titans used against the Giants, during their fights. Ancient Times: Tinos has been inhabited since prehistoric times. The first inhabitants were probably the Pelagians, followed by the Ionians in the 11th century BC. The earliest settlement dates from the Neolithic period and there are signs of habitation in the Geometric and Archaic period. Byzantine Times: Tinos was often attacked by Saracens which led to its decline. Venetian Times: In 1204 Tinos came under the Venetian rule until 1715. The Venetians shaped the island’s social and cultural traditions and protected Tinos by constructing the fortress of Exomvourgo. Ottoman Period: In 1715 the Tinos fell under the Turkish rule, but their presence and influence was minimal. The island managed to develop its trade and crafts, became the financial capital of the Cyclades and dubbed as “Little Paris” as the arts and the marble sculpting flourished. Russian Period: After the Turks, Tinos came under the dominance of the Russians for five years, who reconstructed the island’s defense. Their influence is evident in the architecture of the island’s churches. Recent Times: In 1821 the Tinos was the first Cycladic island to participate in the Greek revolution. In 1823 the vision of nun Pelagia led to the discovery of the miraculous icon of the Virgin and Tinos has been established as one of the most important religiouscenters in Greece ever since. Tinos Foodpaths: is a multiday gastronomy festival held in different venues all over Tinos. Each springTinian housewives and reworded chefs come together to share their dishes, gastronomy secrets and traditions with all participants. Tinos Word Music Festival: hosts internationally acclaimed musicians from Greece and abroad. 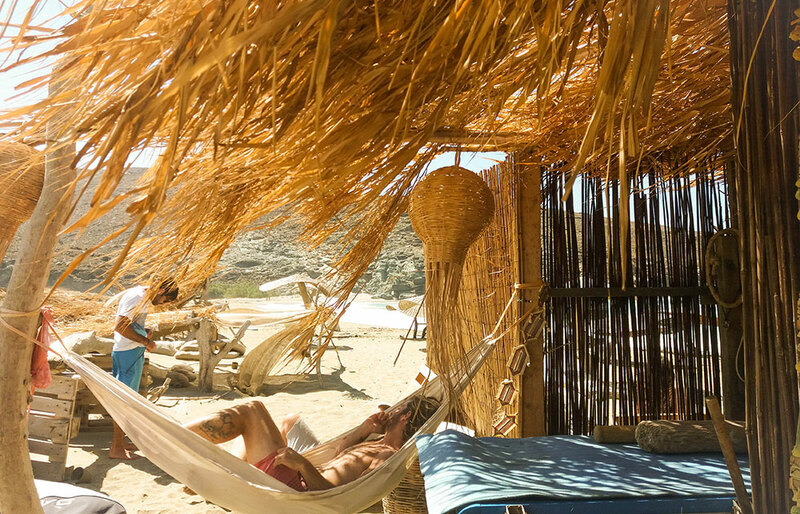 The festival takes place in June at the Cultural Foundation of Tinosaiming to include the island of Tinos in a broader intercultural network and to become the meeting point for significant musicians from the Balkans and the East Mediterranean. Jazz on Tinos: is an annual jazz event hosted by the Cultural Foundation of Tinos in August. Jazz on Tinos presents an outstanding showcase of the jazz music and gives its guests the opportunity to get familiar with jazz in all of its forms and discover the newest evolutions. Tinos Festival: is held annually during the months of July, August and September. 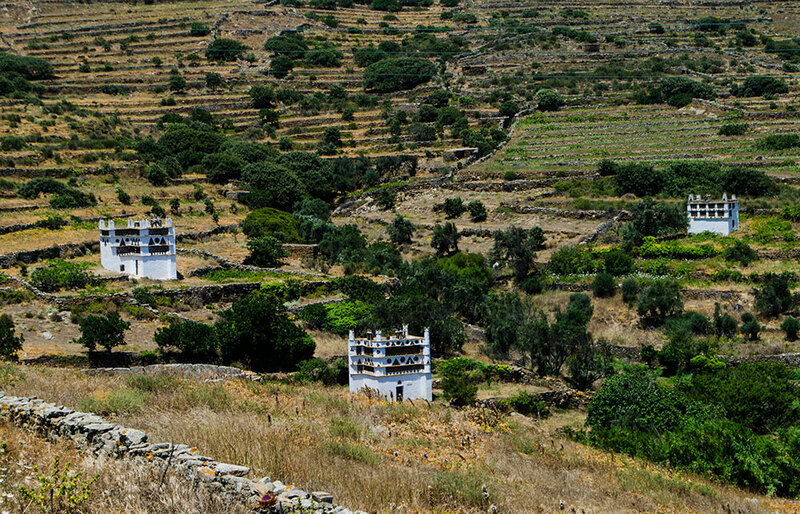 The festival consists a variety of activities throughout Tinos island. Events include theater shows for adults & children, music events, concerts, dancing shows interactive events, cultural exhibitions, tributes, workshops and local festivities. Revival of Trawl: is a famous fishing event that takes place in the village of Kionia. Every August visitors gather at the beach and fish together. 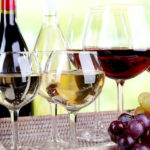 Sea food and wine are offered followed by and traditional music. Local Festivals: are organized every year in Tinos including the Artichoke Festival at Komi in May, the Capers Festival at Steni in July, the Honey Festival at Kampos in September and the Raki Festival at Falatados in September.